Maybe you have recently moved to Texas, just received your driver's license, or purchased a new vehicle. Congratulations! But before you can begin driving on the roadways of the Lone Star State, you have to obtain an auto insurance policy. As a Texas driver, state law requires that you purchase and maintain auto insurance as an indication of your proof of financial responsibility. In fact, you will not be able to register your vehicle with the state without furnishing proof that your vehicle is currently insured in your name. The amount of coverage that you buy and the deductible figure associated with your policy will strongly affect how much auto insurance will cost. State law does not require you to purchase additional insurance policies (such as uninsured/underinsured motorist coverage). But Texas is a tort state, which means that someone will be found liable for every accident, as well as the resulting injuries or damages. And if you are victimized in a collision caused by an uninsured driver, then your expenses may not be fully covered unless you have supplementary insurance. Once you acquire auto insurance, you will need to carry proof that you are insured whenever you drive in Texas. In most cases, your insurance company will furnish you with an insurance card that contains all pertinent information about your auto insurance policy. If you are not in possession of proof of insurance at all times while you are driving, you could face fines up to $350. Furthermore, if you are found guilty of a second offense, your driver's license could be suspended and your fine could reach up to $1000. Because of the financial burden that uninsured drivers place on the taxpayers of Texas, the state has taken steps to document all drivers who are covered by auto insurance and compile this information into a database. 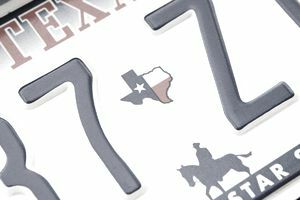 This program is called TexaSure, and it allows law enforcement offices and other agencies to enter a vehicle's license plate or identification number to determine whether its owner is properly insured. TexaSure prevents uninsured drivers from circumventing proof of responsibility laws by carrying an expired or fraudulent auto insurance card. You should check with your insurance company to see which discounts are offered and how you may qualify for them. In addition, a few insurance providers offer a method to reduce your premiums by recording your individual driving habits. This is accomplished by installing a device in your vehicle that records driving-related data over a certain period of time. If the information shows that you are a lower-risk driver, then your premiums will be reduced accordingly. If you want more information about acquiring auto insurance in Texas, you can visit the Texas' Department of Insurance website.